Hey guys, this right here is my last and most favorite look I wore for the Berlin Fashion Week. And I can tell you, that these pants are more than comfortable and an eye catcher too. I really loved the fact that so many people shared my excitement about these pants, since yellow isn't a decent color. I am simply in love with bright colors or bright statement pieces during summer, even though I know yellow wouldn't be everyone's first choice, I wouldn't change it. 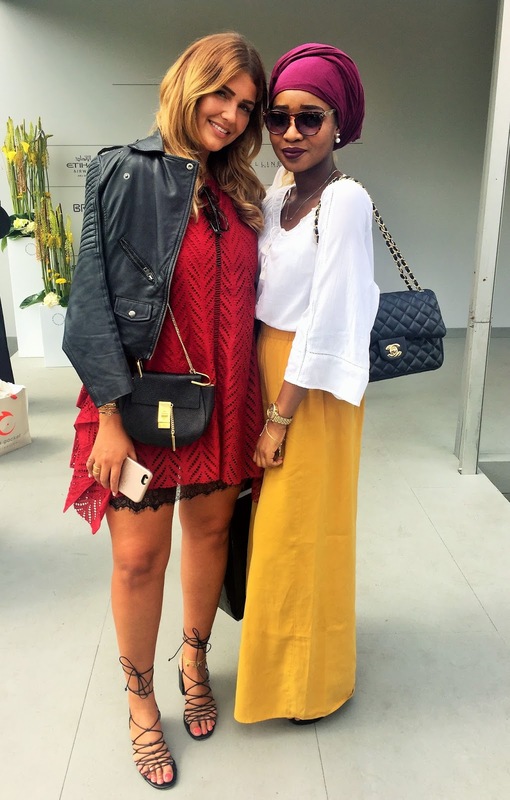 I really had an amazing time at the Fashion Week and I can't wait for the next one. So many different people who share the same passion, all together at "one place ", was one of the most amazing events I've been to. I loved seeing other style interpretations but I still got to say that sooooo many people had the same taste or at least wore the same looks. I'm not even saying it as a negative aspect, it is just something I noticed. So to conclude my little Fashion Week resumee, it was definitely an awesome experience and I am happy I had the chance to share a little with you guys. Lol, I still want to know, what do you think about my yellow pants :D? Hey lovelies, it's Sunday and I had a great/ lazy weekend! I absolutely love doing nothing, but who doesn't, lol? Today's look is all about my floral printed blouse. 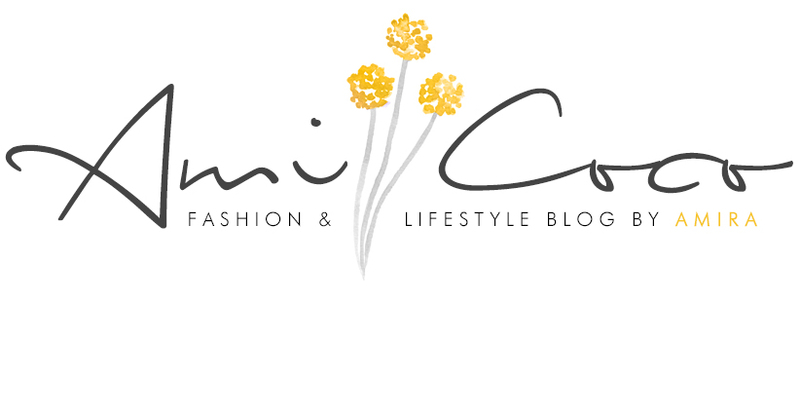 I love flowers, those who follow me on instagram (ami.coco) might have noticed. Seeing nice flowers can make me change my mood from sad to happy, because they remind me of all the beauty this world has to offer, even though so many cruel things are happening. Although I don't like blouses with prints, this one caught my heart immediately (press here if you want to shop the blouse). Do you have small reminders which makes you realize the beauty of our world? Hey guys, I thought about writing some posts in English now, because so many people asked me to write a post they can actually fully understand. Writing in English is cool for me, but German is my strong suit, I'm sure you guys can relate :D. So this is the first Look I wore in Berlin. The weather was perfect for a kimono. As I already told you in my previous post, this won't be the last time you'll see me wearing a kimono this summer. I just love the way you can wear them to almost everything. You can get the kimono I am wearing, if you press right here (it's on sale right now 13€, how awesome is that :o). In case you wonder where I left my sneakers, I love wearing my Birkenstock shoes during summer. Even though I like normal sandals too, Birkenstock shoes are the true definition of a comfortable summer shoe in my opinion. I figured that a lot of you guys didn't like the shoe last year, did you change your mind this year? Hallo meine Lieben, für mich geht heute eine turbulente Woche zu Ende! 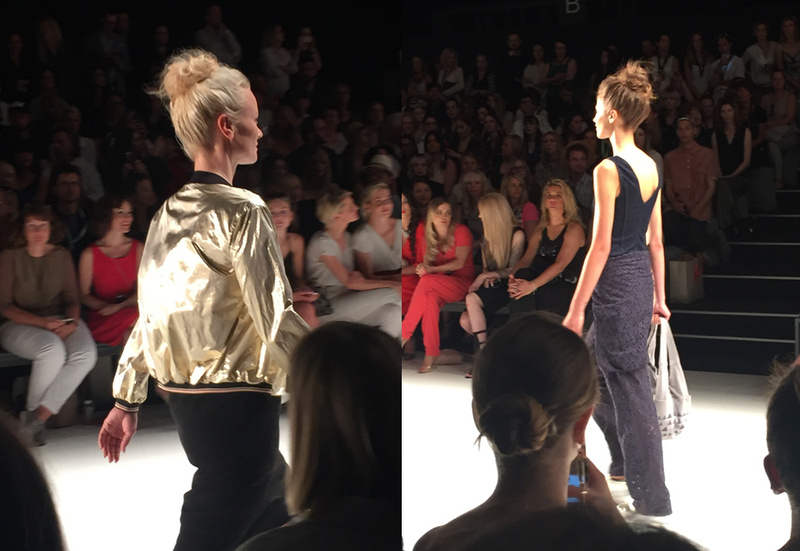 Wie ich euch in meinem letzten Beitrag erzählt habe, war ich von Montag bis Mittwoch für die Fashion Week in Berlin. Es war so eine hammer Erfahrung, das werden wahrscheinlich die Leute verstehen, die auch zum ersten Mal dort waren. Überall modebegeisterte Menschen! 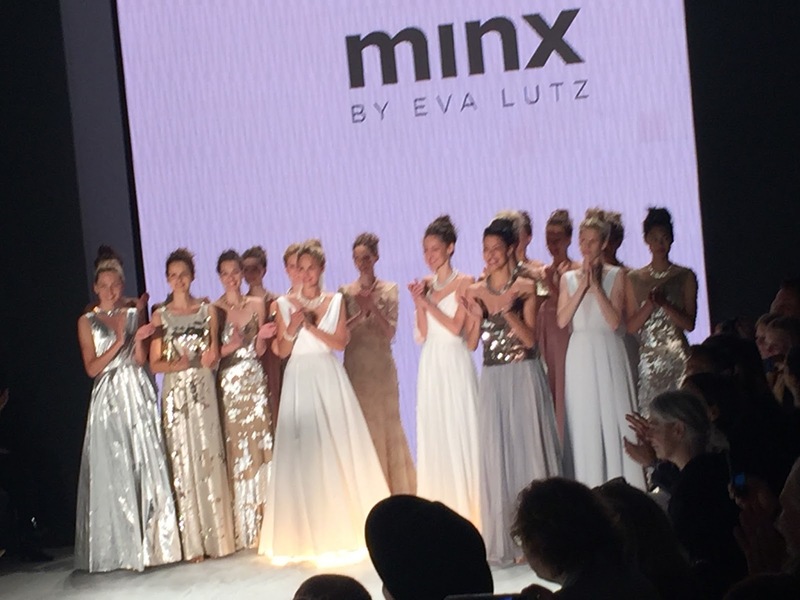 Aber dazu werde ich euch in einer kleinen Fashion Weeek Review erzählen, denn heute geht es um meine absolute Lieblingsshow Minx by Eva Lutz, die ich mir am Dienstag anschauen durfte. 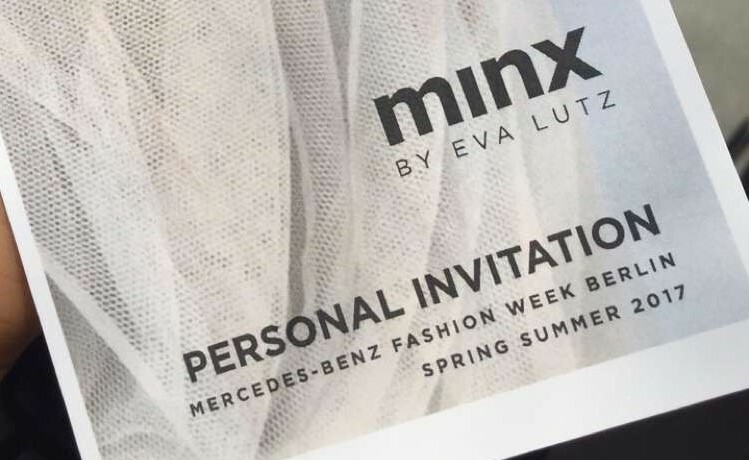 Mir ist es sehr wichtig, tragbare Mode auf Laufstegen zusehen, das heißt ich liebe es, wenn ich mir vorstellen kann, wie ich ein Kleidungsstück trage und das war bei fast jedem einzelnen Design von Eva Lutz der Fall! Sowohl die Farben, als auch die Schuhauswahl (einige Sneaker waren zu sehen, yeey :D) entsprachen total meinem Geschmack. 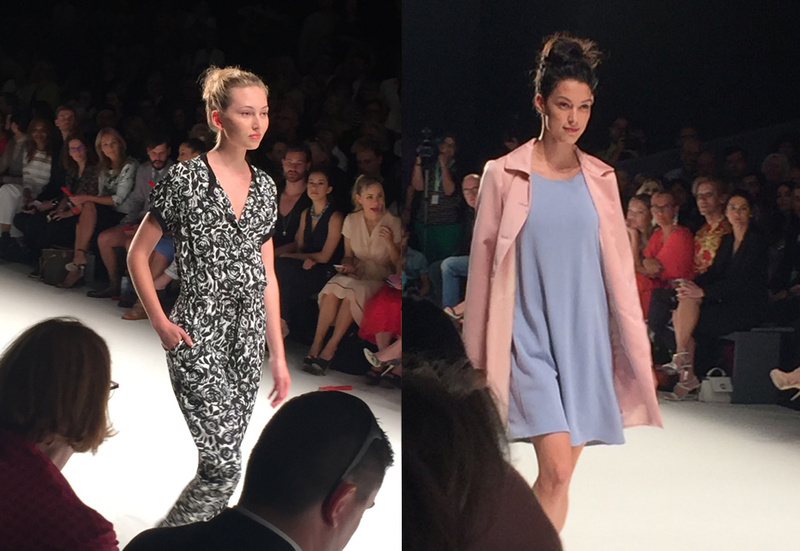 Für Fashionchick habe ich einen kurzen Beitrag über die Show geschrieben, den ihr euch gerne anschauen könnt, um ein wenig mehr zu erfahren. 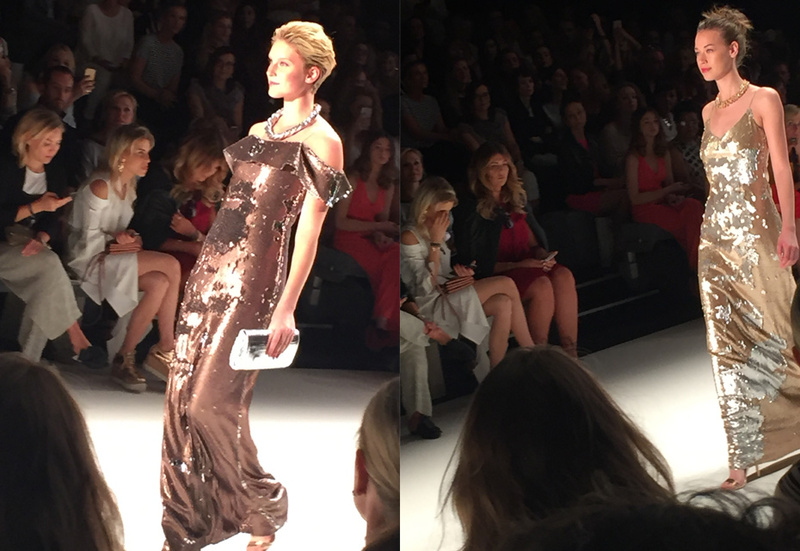 Nach der Show habe ich meine einzige, absolute Lieblingsbloggerin Farina von NovaLanaLove gesehen, die auch auf der Show war und natürlich musste ich ein Bild mit ihr machen :D. In der nächsten Zeit, werde ich mit euch einige Fashion Week Outfits zeigen und euch von einigen Events erzählen, die im Rahmen der Fashion Week stattfanden.